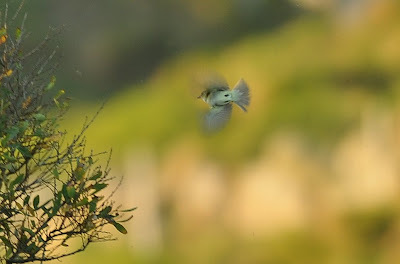 Kester and Ian Wilson found this American flycatcher at Nanjizal in the morning. 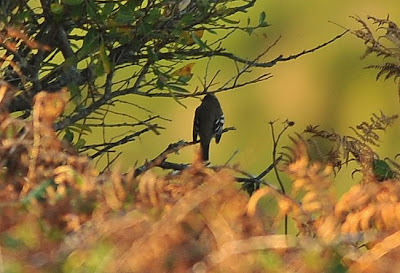 This is the first record of one of the empid family to be recorded in Britain and is fair reward for Kester who has worked this valley for the last ten years. 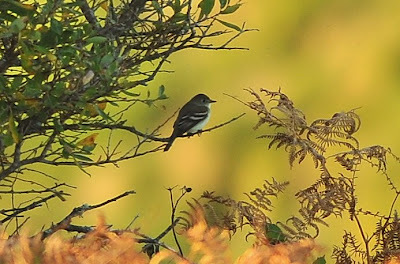 The empid family of flycatchers are notoriously difficult to identify and at this stage, the bird is most likely to be either an Alder or Willow Flycatcher, with the former being favoured at dusk tonight! It was a stunningly clear night when I left Nanjizal and I just hope that it stays overnight for some better shots tomorrow. The shots above were taken at approx 40 yards and have been cropped approximately three-fold. No colour enhancements have been made. 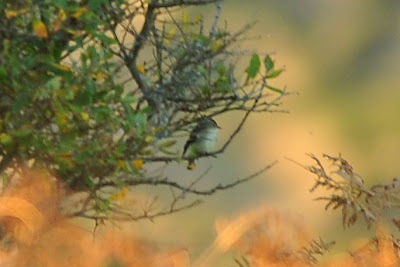 They were the best I could manage given the distance and angled sunlight.